This year, Chinaplas will be held from May 20 to 23, WITTMANN BATTENFELD will be presenting its state-of-the-art injection molding technology, automation and peripherals to professionals in Hall 4.1 at Stand 4.1C01. At this year’s Chinaplas, WITTMANN BATTENFELD is demonstrating its competence in the area of injection molding machinery by two machines of the new PowerSeries from WITTMANN BATTENFELD: one of these new machines will be from the allelectric EcoPower model series and the other will be the MicroPower, which has been designed for the injection molding of miniature and micro-components. The machines of the EcoPower model series – available in a clamping force range from 55 to 300 t – stand out for their precision, cleanliness, cost-effectiveness and energy-efficiency. In the development of the EcoPower, particular attention was paid to the installation dimensions and compact integration. WITTMANN TEMPRO plus C series temperature controllers can be integrated directly into the machine frame, thereby enabling a significant reduction in the required footprint and the associated facility costs. Chinese processors appreciate the advantages of this technology and a large share of the machines supplied to China feature the EcoPower configuration. The MicroPower – available in a clamping force range from 5 to 15 t – is of particular interest in the cost-effective manufacture of miniature and micro-components. This makes it especially attractive for industries which are growing at a lightning pace in Asia, such as the electronics sector or medical technology. The whole system is specifically designed for the manufacture of miniature and micro-components – not only the machine itself, but also the complete pallet of peripherals, ranging from material dryers for smaller volumes and throughputs, and material conveyance systems, to dedicated temperature controllers developed for appropriate performance characteristics. One of the most interesting features of this machine series is its innovative two-step screw-plunger injection unit with a shot volume ranging from 0.05 to 3 cm3. This injection unit can be used to inject thermally homogeneous melt, resulting in premium-quality parts while ensuring extremely stable production and short cycle times. Short cycle times combined with low consumption of material and energy make the MicroPower extraordinarily costeffective. Besides, WITTMANN BATTENFELD will show its latest high-tech automation and peripheral equipment, including efficient full-servo Robot, the new mold temperature controller with machine interface, the wheel dryer which can provide the advantages of a consistent dew point and maximum energy efficiency, the loader with a visual glass, water flow regulators with flow measurement and flow control, central granulators with new auger equipment. The WITTMANN group has been operating successfully in Asia for many years. To supply the Chinese market, the company runs a local production facility in Kunshan, China, where various peripherals and robots are manufactured. The Kunshan plant has been in operation since 2005 and has developed into a competence center for automation and peripheral equipment for the Asian market. The production and storage space has been increased and amounts now to 7,000 m². In 2012, the production of robots grew rapidly, and we are expecting a further increase in production for 2013. The rising demand for automation equipment in China is on the one hand due to the strong growth of the Asian plastics industry and on the other hand to the increasing wages, which the industry tries to meet with automation solutions. The WITTMANN Group based in Vienna/Austria is one of the world’s leading manufacturers of robots and peripheral equipment for the plastics industry. 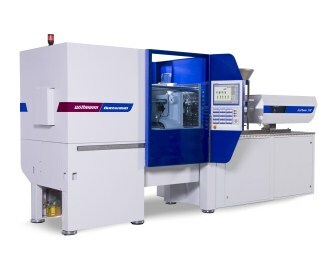 The WITTMANN product portfolio includes robots and automation equipment, automatic material loaders and material dryers as well as equipment for plastics recycling, mold tempering and cooling, and volumetric and gravimetric metering appliances. WITTMANN BATTENFELD, a company of the WITTMANN Group with its headquarters and production facility in Kottingbrunn (Lower Austria), is a leading manufacturer of injection molding machinery and equipment for the plastics industry. The company is present in about 60 countries with its own sales and service companies as well as representative offices, thus offering optimal support to its customers in all matters concerning injection molding technology. In China, the WITTMANN group is represented with its own production facility in Kunshan and a sales and service representation in Shanghai, the WITTMANN BATTENFELD (Shanghai) Co. Ltd., as well as sales offices in Shenzhen, Tianjin, Qingdao and Changchun.